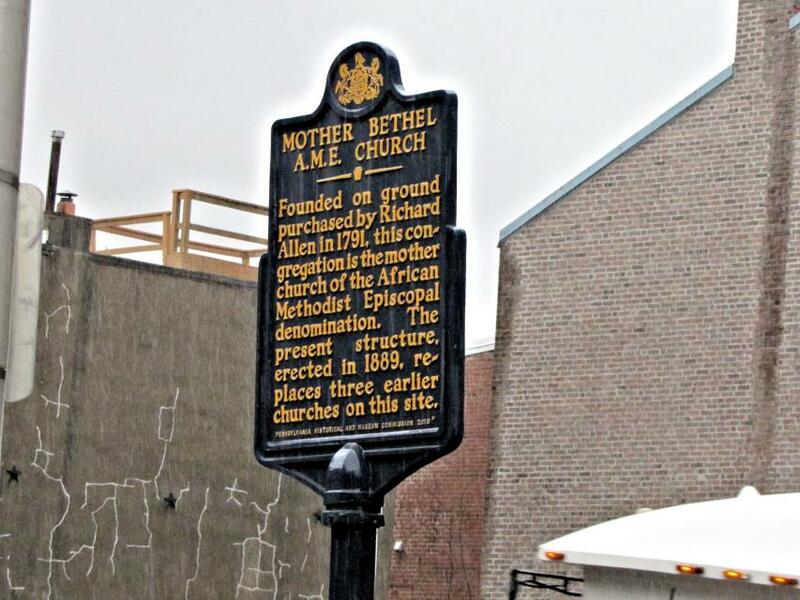 Founded on ground purchased by Richard Allen in 1791, this congregation is the mother church of the African Methodist denomination. The present structure, erected in 1889, replaces three earlier churches on this site. This marker can also be identified by its HM code. You can use the hashtag #HM1JNR in tweets, and any other place where you might refer to this marker, including when searching on this site.